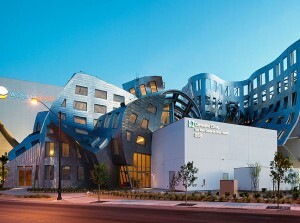 Cleveland Clinic Lou Ruvo Center for Brain Health provides diagnosis and ongoing treatment for patients with cognitive disorders – as well as support services for family members who care for them. The center is committed to preserving brain health, whether patients are beginning to show symptoms of cognitive impairment or are in later stages of a degenerative disease. The Lou Ruvo Center for Brain Health advocates a patient-focused, multidisciplinary approach and encourages collaboration among all caregivers. It provides a continuum of care, integrating research and education at every level. Plus, the center is involved in a number of clinical trials that are invaluable to developing successful therapies worldwide.